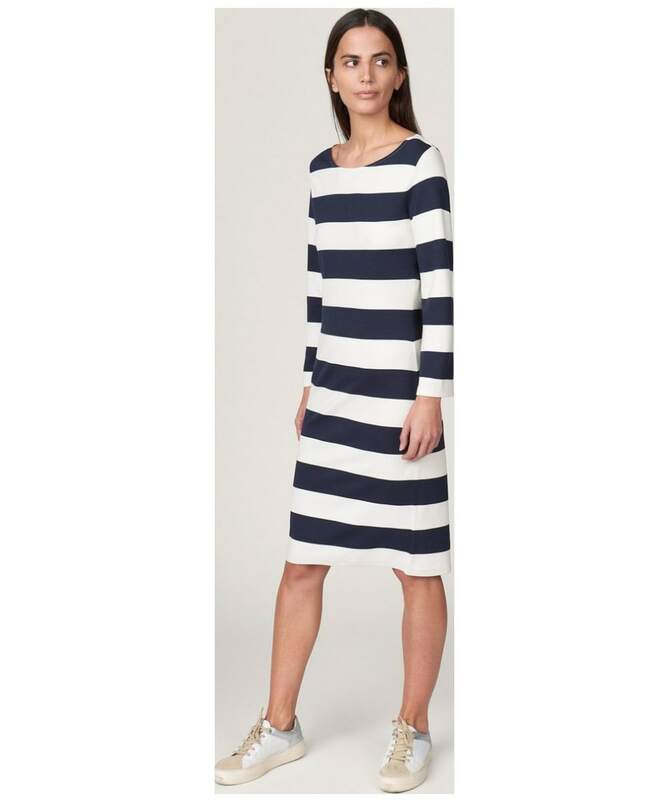 The Women's GANT Striped Shift Dress is sure to be your perfect partner for when those warmer days arrive. 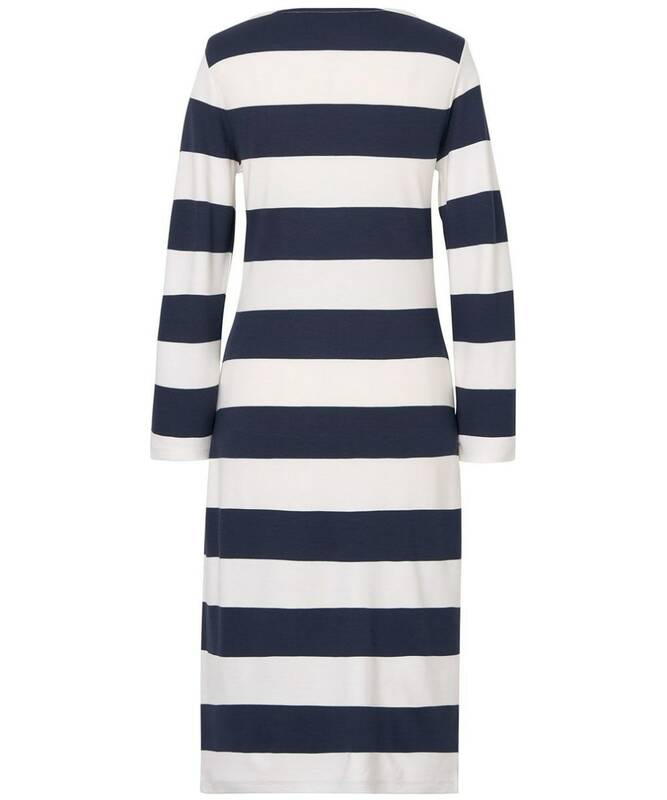 Crafted from a viscose mix, this beautifully soft dress will drape over your body for an elegant look, with an added touch of elastane providing ease of movement and a comfortable feel that you are sure to love. 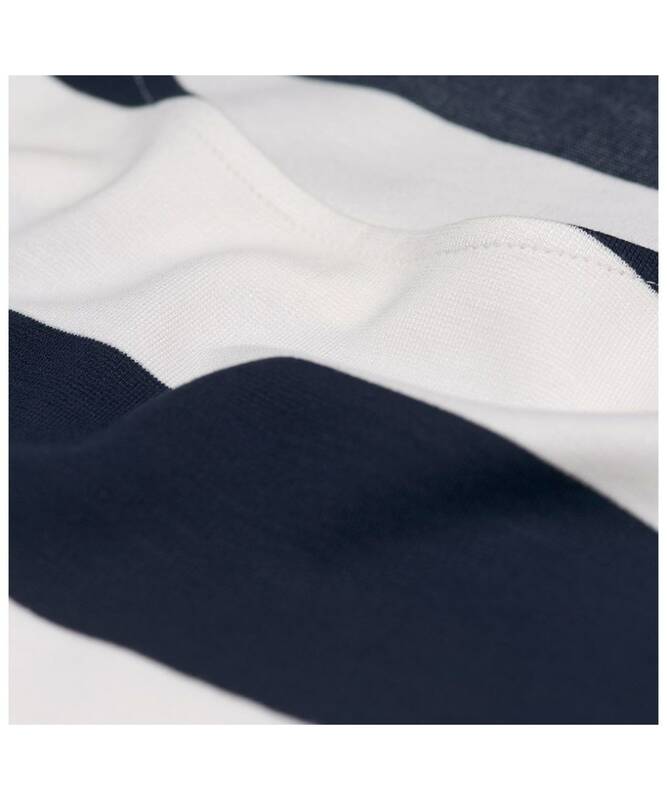 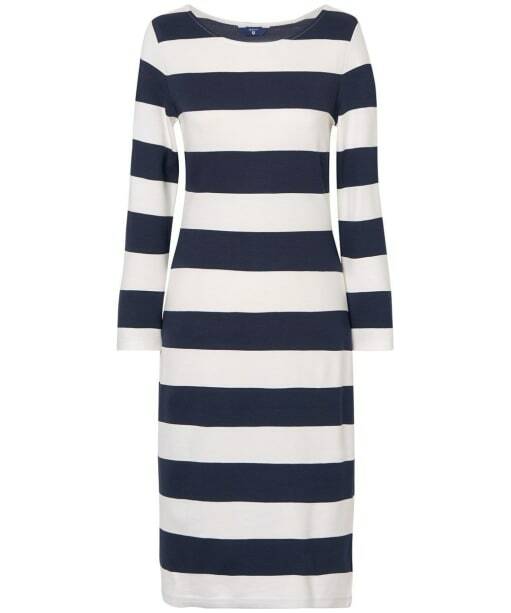 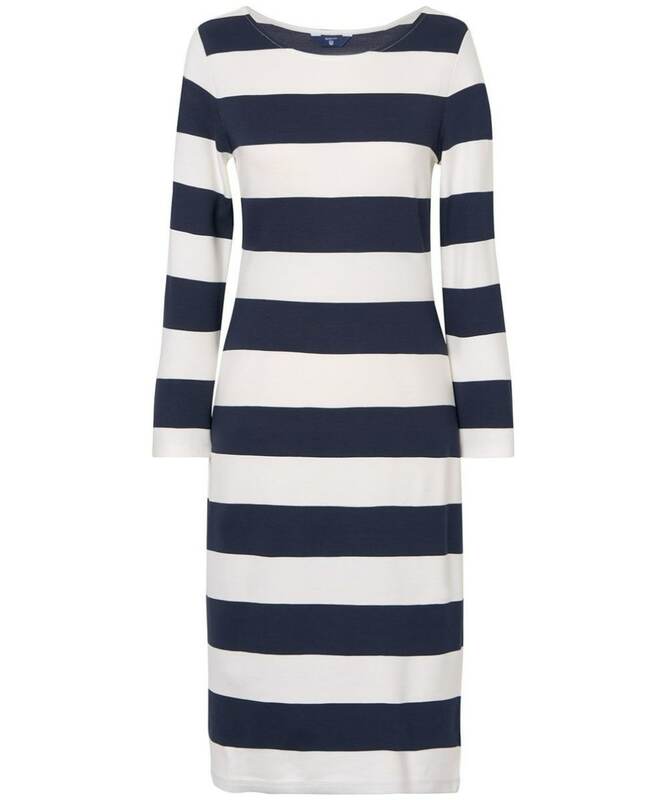 Featuring a timeless striped design, the dress has a boat neck for that feminine, figure flattering feel. 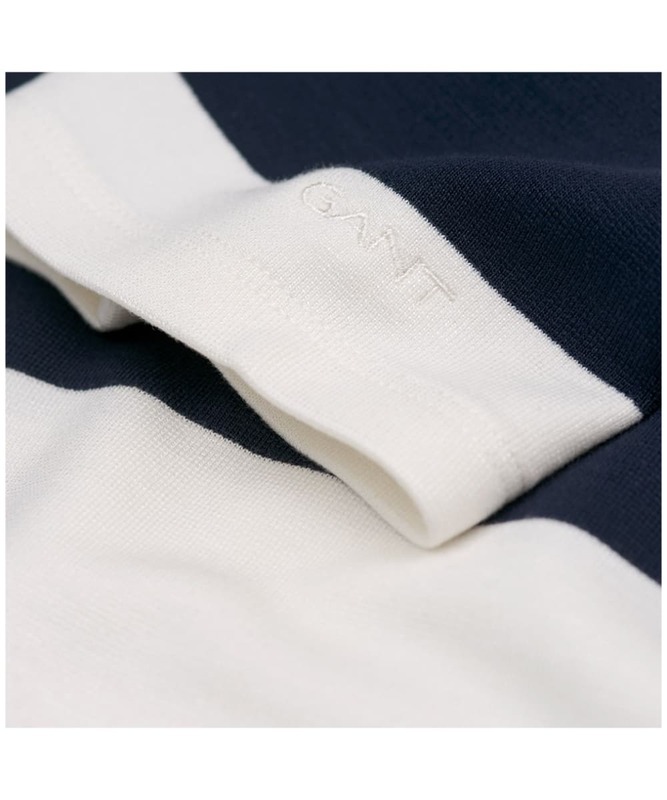 This versatile dress boasts longer length sleeves to not only protect your skin from the sun, but meaning that you can also wear the dress during the cooler months, under your favourite GANT jacket to offer an on-trend feel through this season and beyond!